The Home Store has been building custom modular homes since 1986. We have been awarded a national “Building Innovation in Homeownership Award” by the U.S. Department of Housing and Urban Development, and we are now the largest builder of custom modular homes in New England and the Hudson Valley. While we are proud of the quality, style, and distinction of our homes, we are even prouder of our unmatched commitment to service and excellence. It is very important to The Home Store that you are completely happy with your new home. Just being “satisfied” is not enough. Our reputation is based on developing a strong working relationship with our Customers. We strive to build this relationship by assisting you from the time you begin planning your home and looking for land, through the day you move in, and for as long afterwards as it takes to keep you convinced that we are the best home builder anywhere.If you have spoken to our past Customers or your area’s banks, building inspectors, real estate agents, or other contractors, you know that The Home Store has an unrivaled reputation. Every day we strive not just to maintain that reputation, but to build on it. This is not only a smart business practice, since it generates many good referrals. It is also an ethical business practice, since our Customers often invest a significant portion of their life savings into their home. To warrant your trust, we will treat your investment as if it were our own. One of our key modular home services is that we work with set crews and crane companies that have a wealth of modular experience. We also have a Home Store trained supervisor oversee the set. We have emphasized that The Home Store stands behind its product with a commitment to service second to none. Why? Because this commitment is far more important than most Customers realize. Modular manufacturers know they cannot provide the on-site coordination and service work required. They are too far away, and they neither have the staffing nor the skills. Recognizing their limits, they insist on selling through regional dealers. They hope their dealers’ sales staff and contractors will be able to provide all of the necessary on-site service. Manufacturers will tell you that if you have any problems before your home is manufactured, during its on-site construction, or after you move in, your best chance of getting assistance is with your modular dealer, not the manufacturer. This is why it is important that you buy a home from a reputable, established company, even if you intend to do some or all of the contracting work yourself. Unfortunately, most builders, both modular and stick, only have one or two people to wear all the hats – meet with new Customers; complete detailed estimates; coordinate with the factory, lender, and building inspectors; find subcontractors; supervise construction; and service completed homes when problems arise. And they are supposed to do all of these things at the same time on any given day. This is an impossible task for one or two people, unless the builder is only building a couple of homes a year. The Home Store is able to offer exceptional service because it has full-time employees covering all of the critical positions. This means that we almost always have someone available to call you back – before you decide to build with us, while we are building your home, and after you move in. The Home Store will help you design and build the home of your dreams. Our extensive experience in modular design and construction enables us to create uniquely attractive homes – homes with quality, style, and distinction. In fact, custom homes are our specialty. We will gladly begin with just a few of your ideas or even a plan drawn on the back of a napkin.Our company philosophy is to help you identify what you want and need and then help you figure out how best to obtain it. We welcome all of your questions, since we know you need information to make your best decision. When we are not able to answer your questions, we will thoroughly research them and get back to you as promptly as possible. We want you to know that we will never pressure you with sales tactics or gimmicks. We believe that if we present you with the information you need, and allow you to digest it at your leisure, you will give us the serious consideration we deserve. No one, absolutely no one, will give you as much time and professional help designing your home as we will – unless you hire a professional architect, which will rightfully cost you many thousands of dollars. And we won’t stop after the initial design, not even after you have placed your order with us. We will work to refine your ideas through as many drawings as needed to be sure your design truly expresses your personal taste and style. If your design can be built with modules, we will build it. We have a true Can-Do attitude. If a design can be built, we will build it. The most important reason that we are able to build truly custom homes is because both The Home Store and our manufacturers have extensive experience in modular design and construction. It helps that we draw our homes on a state-of-the-art, computer-aided drawing (CAD) system. It also helps that our manufacturers have top-flight, fully computerized engineering departments. We are happy to build true cathedral ceilings, even on 12/12 pitched roofs. We can also build you a Victorian turret or a sunken living room. Most companies try to avoid these features. We pride ourselves on being a true custom builder. And what our manufacturers cannot build at the factory, we will build on site. To assist you with your selections, we stock our show room with catalogues that offer thousands of optional features. For more information, see chapter 3, “Designing a Home,” in The Modular Home. We are one of the few modular dealers in the country who has expertise in building “Universally Designed” homes, probably the fastest growing trend in construction today. In fact, we built our national award winning T-Ranch model home according to these principles. Such homes are usable by all people, regardless of their age, size, abilities, or disabilities. We recommend that you allow us to design your home so that it meets your family’s needs now and into the future. By designing features such as level entrances, wider hallways, and larger doors, we will make your home more accessible to everyone – to a child in a stroller, to adults moving in furniture, and to a person in a wheelchair. We will lower your light switches to make them easier for children to use, raise your electric outlets to make them easier for people with arthritis to reach, and install lever door handles to make them easier for everyone to open, even when carrying a bag of groceries. For more information, see chapter 4, “Specifications and Features,” in The Modular Home. We can build any of our homes to the nationally recognized Energy Star specifications. The U.S. Department of Energy and the U.S. Environmental Protection Agency created these specifications to motivate builders to increase the energy efficiency, lower the operating costs, and improve the indoor air quality, comfort, and safety of their new homes. It is much easier and more affordable for us to meet these tough energy standards, since we incorporate most of the required features even into our most modestly priced homes. Other builders need to take many additional steps at greater cost to you to build an approved Energy Star home. Click here to see sample pages from The Home Store’s Modular Estimate form. We believe that you have a right to know exactly what you are getting and exactly what you are paying before we begin construction. We meet our obligation to you in three steps. First, we spend several meetings helping you refine your plans – how your floor plan works and how the outside of your home appears. During these meetings we also help you select your building specifications – the kinds of windows, doors, siding, cabinets, etc. that you prefer. We then itemize the cost of each of your decisions. Finally, we, document your decisions with two proposals. One proposal, our Modular Purchase Order, provides the details for your modular home. The other proposal, our General Contracting Services agreement, provides the details for your contracting services, should you select us to complete this work. For more information, see chapter 2, “Selecting a Dealer,” in The Modular Home. Whenever possible, we avoid “allowances”, since these put you and your budget at risk. The typical builder uses allowances as a way to avoid spending a lot of time helping you design and price your home before you commit to him. His allowances allow him to change your price – almost always higher – after you sign a contract and he begins construction. Another approach that distinguishes us from other builders is our determination to tell you – in writing – what we have left out of our proposals, since we realize that you will not likely have the professional expertise to know what might be missing. Our insistence on completing the design, planning, and pricing steps before we begin construction ensures that you will not be making a deposit or signing a contract with us before you know in writing what we will do for you. This dramatically reduces your risk of unwelcome surprises. It is no surprise that banks love us, since our Customers seldom experience cost-overruns on their home. And although they sometimes experience additional costs with their site work, such as when we unexpectedly hit ledge or high ground water while digging their foundation, we discuss this with them in advance so they are prepared with a contingency fund. For more information on choosing affordable home builders, see chapter 5, “Selecting a General Contractor,” in The Modular Home. In addition to detailed floor plans, we provide you with full elevation drawings, depicting all four sides of your home. If you select us to build a garage, porch, deck, sunroom, etc., we will provide you with complete plan and elevation drawings for these structures, as well. If you select us to complete your foundation and/or plumbing, electric, or heat, we will provide you with a basement layout drawing indicating where everything will go in your basement. How else will we know not to put your heating system where your future family room is planned? For more information, see chapter 7, “The General Contractor’s Responsibilities,” in The Modular Home. Unlike most companies, we will provide you with copies of your electrical drawings before we build your home. In this way, you will know if the switches, receptacles, lights, thermostats, phone jacks, and cable TV jacks are in convenient locations and out of the way of your furniture. Both The Home Store and our manufacturers are sticklers for detail. 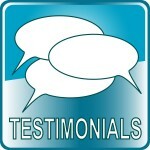 We recognize that we are the professionals and that you rely on our expertise. Here are two examples of the many details that often get missed by other companies. When you delete the flooring from your home, we will automatically ask you what type of floor you will be installing. Why? Because we may need to adjust the height of the stairs, cabinets, and baseboards if your flooring is tile or hardwood. We will also ask about the flooring that you intend to install at the top of the stairs of your unfinished cape. If you install a hardwood floor at the top of your stairs on a cape or two-story, and the stair height is not adjusted, your hardwood floor will stick up above the top of the stairs, which will be a major safety problem, as well as a building code violation. Of course, if your dealer doesn’t plan for this, you won’t discover the problem until after you have paid for the house, and by then it will be too late. Here is a second example, one that occurs more frequently than you might think. If you change the swing on a door, we will move the light switch automatically. Other companies often miss this kind of detail. If you do not yet have land, we will be happy to help you select a building lot. Most Customers have little experience with evaluating whether a lot will be easy and affordable or hard and expensive to build on. We walk the land with our Customers, often visiting more than one lot, and explain to them the advantages and disadvantages of each lot. For more information, see chapter 6, “Finding and Preparing a Building Lot,” in The Modular Home. We have Sales Coordinators who are responsible for helping you track and coordinate the many tasks that need to be done from the time you order your home until after you move in. From banking and building permit to receiving all of your warranty paperwork, these tasks are a larger responsibility than you might think. We recommend that you think of our Sales Coordinators as part of your support system at The Home Store. In fact, we have designed a custom software program to help them track the hundreds of tasks that need to be completed. For more information, see chapter 2, “Selecting a Dealer,” chapter 9, “Financing a Modular Home,” and chapter 11, “Building on Schedule,” in The Modular Home. Many modular dealers prefer to sell you a home without any additional services or obligations. Their goal is to deliver the house to your site and in effect say, “Good luck and good bye!” Customers unwittingly play into this by underestimating the amount of construction work required to complete a modular home. Whether you select us to “turnkey” your contracting work or you decide to serve as your own general contractor, we don’t want you to underestimate the scope of work or the costs. For more information, see chapter 7, “The General Contractor’s Responsibilities,” in The Modular Home. Wherever possible, we will serve as your general contractor to complete the site work and foundation, plumbing and electrical hookups, heating installation, and carpentry button-up. (See Where We Build for a map indicating where we provide our different contracting services.) We staff our construction department with licensed supervisors and carpenters who have extensive experience in modular construction. You will find our supervisors knowledgeable, professional, and friendly. When you hire us to complete the general contracting, we will protect you in another very important way. We carry general liability insurance, workers compensation insurance, and health insurance for our employees. In addition, we hire subcontractors with liability and workers compensation insurance; we also carry an umbrella policy in case a subcontractor doesn’t have the insurance. Although liability, workers comp, and health insurance are very expensive, they protect both of us if something goes wrong on your site, such as an accident causing a serious personal injury or significant property damage to your home. If you hire a general contractor or subcontractor who is not fully insured, and something unfortunate happens, you could be liable. If you build outside of our immediate area, we can help you in three ways to complete your turnkey responsibilities. First, we can provide you with handouts detailing each contractor’s responsibility. Secondly, we can provide you with the specifications particular to your house to help you solicit bids from your subcontractors. Thirdly, we can help you find a general contractor to oversee your project. For more information, see chapter 5, “Selecting a General Contractor,” in The Modular Home. Our warranty service program is unique for residential home builders in our area. Few builders actually have staff whose sole responsibility is to provide warranty service. It is very hard for small builders to provide warranty service after you have moved into your new home and paid them in full, since they likely have all of their staff (which is probably one or two people) either in the field working on new houses or in the office meeting with potential customers. After all, they need to be doing one or the other, if they are to continue to generate money. Since they cannot be generating money while they are servicing a home they have already been paid for, you are likely to be very frustrated when you have a problem, need someone to talk to, and cannot reach a soul. The Home Store, on the other hand, specifically budgets money to service our Customers’ homes – even after they have paid us in full and moved in. We recognize that all homes require some service, and it is our responsibility to set aside money to help you when your home needs service. Consequently, we will not make you feel that your request for assistance is a drain on our profits. Of course, for this to work we must back up our intentions with the necessary staffing of highly skilled servicemen. Our Warranty Department has a full-time staff. Because we are the region’s largest dealer, our manufacturers are very committed to keeping us happy by providing the best product and service they can. What this means for you is faster and more timely service. If you select us to complete the carpentry button-up of your home, we will provide you with an additional service. We will complete two “tune-ups” of your home, one approximately 30 days after you move-in and the other approximately 10 months later. During both tune-ups, we will of course complete any warranty work that you discover after you have moved in. Just as importantly, we will repair any drywall cracks and nail pops that may appear because of normal shrinkage and settling. We will also adjust your cabinets, doors, and windows. During both tune-ups, we will take care of any other little items to ensure you remain proud of your new home. For more information, see chapter 10, “Warranty Service,” in The Modular Home. We provide an extended structural warranty that is underwritten by an independent insurer to protect your home from floor joists to roof and interior to exterior systems. Since you can transfer your warranty if you later decide to sell your house, it adds resale value to your home. Most Customers have little experience with building a new home. Even if they have built before, they are not professionals. We strongly believe that builders have an obligation to educate their Customers about all aspects of construction. We have always taken this responsibility seriously. This can be seen in the amount of time we give our Customers when they visit with us as well as in the many educational articles we written over the years. 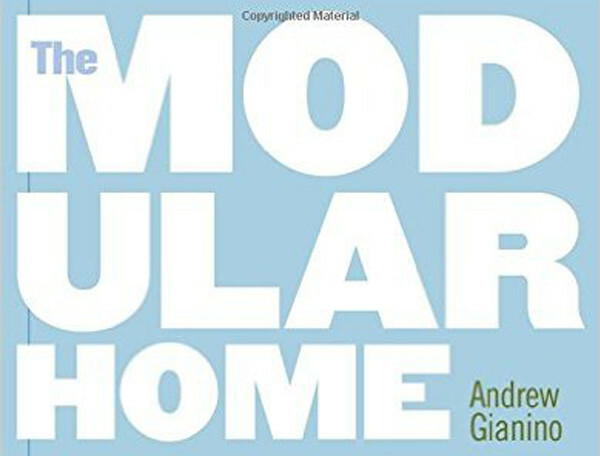 You can now find all of these articles rewritten in much greater depth – along with entirely new information – in The Modular Home (310 pages) by Andrew Gianino, President of The Home Store. Since this book is now the number one selling book on modular homes across the country, we’re proud to say, “The Home Store wrote the book on modular construction.” We recommend that you purchase and read the entire book. If you purchase the book and then buy a home from us, we will credit you the entire cost of the book. When you visit our model home center, you will see another reason to believe in our long-term commitment to our Customers. Our investment in our two model homes is a statement that we will not be here today and gone tomorrow. We will not take your deposit and go out of business. And we will not be available only a few evenings a week because our real work is a full-time job at another business. We back up this last statement by staffing our models five days a week with professional experts in modular construction. The Home Store – Your Best Source for Modular Home Floor Plans and Custom Modular Homes in Massachusetts, Connecticut, Rhode Island, and New England.